Miss Patty Gaiser is our outstanding "Lunch Lady". forward to serving each of the students this year. On Fridays, the senior class sells pizza. All proceeds from the Friday pizza sales go towards the seniors and their senior trip. The proceeds from the Hot Lunch Program go towards the PTF and help to fund the various projects that are done around the school. Every MONTH you will receive a lunch calendar (also view it here). 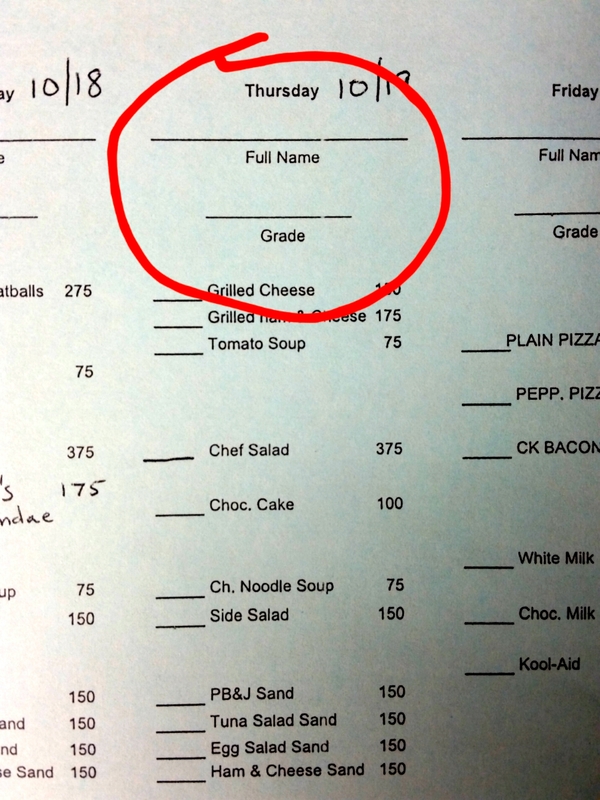 Each WEEK you will receive a lunch order form. PLEASE FILL OUT THIS FORM AND RETURN IT TO THE SCHOOL ON THURSDAYS. Place the lunch order form and the money in a Ziploc sandwich sized bag. Write the child's name on the bag. Change will be returned. Prices will be listed on the order form. If your child is sick or absent for a day - call the office before 9:00 am, and you will be refunded your money. If you do not call the office for an absence - a refund can not be given because the food will be prepared. 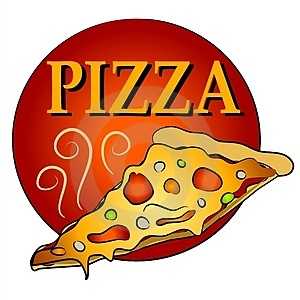 On Friday's, the senior class will sell pizza and snacks. Only milk will be sold from the kitchen on Fridays. If a students forgets a lunch, have them come to Miss Patty as soon as they realize it. We can get them a sandwich and a drink.